With this year’s World Cup of Hockey over, and Canada taking its place atop the hockey “world” again, Canadians can take a sigh of relief knowing their nation is the best at the game they invented. That’s fine and dandy, but Canadians should keep things in perspective. 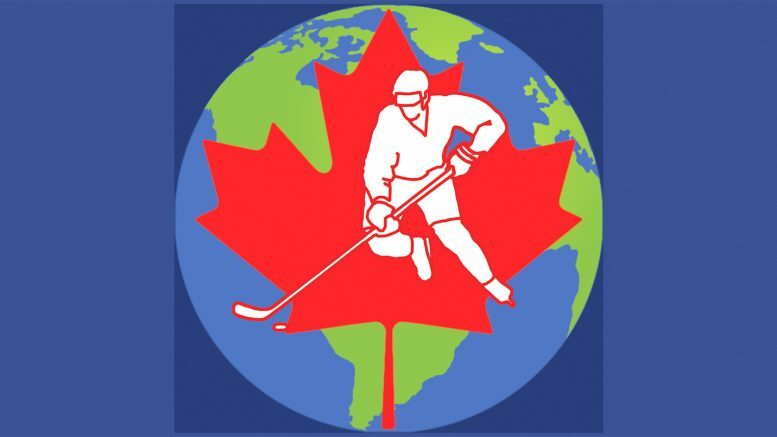 Canada just won an international tournament that included the likes of a team of young guns from North America and a collection of players from eight different European countries. Calling it a World Cup is a bit much. There was no qualification process for any of the teams, and no other countries were included from any other continents other than North America or Europe. The NHL was trying to emulate the success of the largest global sporting tournament, the FIFA World Cup. Hockey will never be as big as soccer globally. Soccer is more available and easier to play in a larger part of the globe. The FIFA World Cup includes 32 nations from all continents – aside from Antarctica – of the world. I do not think hockey will ever be a big enough sport to have 32 competitive nations at an international tournament, but we should at least try to grow the game in other places, such as Asia or Australia. The Aussies even have their own hockey league, despite being ranked 36th in the world by the International Ice Hockey Federation. The title of who is the best at hockey has always been left to the Olympics, but the NHL gains no revenue from the event. In fact, NHL owners do not like sending their players, because as the 2014 Olympics in Sochi showed, players can get injured. Just ask John Tavares, who injured his leg in a quarterfinal game against Latvia and was gone for the rest of the season. The NHL also does not like having to shut down for two weeks while the Olympics are going on in mid-February. Reintroducing the World Cup of Hockey, the NHL now controls when it is played and, most importantly, can make money off the event. This was not a real World Cup, however. I do not care how you spin it. The 2004 edition of the World Cup of Hockey was more genuine than this one, despite it not having a qualification process. They at least had seven different host cities across Europe and North America. They also had eight real countries competing, rather than six countries and two gimmick teams. The fans did not obviously buy in completely to this World Cup. There were even empty seats during game one of the final series between Canada and Europe. With the success of team Europe this September, you can also bank on the NHL getting rid of the idea of team Europe for the next World Cup if they decide to go ahead with it again. There needs to be some alterations to the World Cup of Hockey, and even to the game globally, to make international hockey tournaments fun again. Since 1972, Canada’s best hockey players have competed in 14 tournaments or series, have won 10, and finished second twice. That is absolute dominance. There have been some close calls, sure, but it has been all red and white in international best on best tournaments. I think everyone knew heading into this past tournament that Canada would manhandle their competition. We saw that in the 2014 Sochi Olympics, where Canada outscored their competition 17-3. It is no fun anymore, yet Canadians seem to always want to establish their dominance at hockey despite them knowing they are the best. I am okay with the idea of the World Cup, but then make the Olympics an amateur event for hockey again. The NHL should also have a qualification process for every team. That would make it more like soccer’s edition of the World Cup, and it would also increase interest in some of the smaller countries that were included in this year’s team Europe. Having that type of qualification process will help grow the game, as the World Cup will be seen as a prestigious event that smaller nations will aim for. If a smaller nation qualifies, it would substantially boost their national program. There will always be superpowers in the game of hockey, as with any other sport played internationally, but increasing the competition is necessary for the World Cup to succeed in the future.